Links to other fine party and event businesses. Click on the logo of the business to go directly to their website. 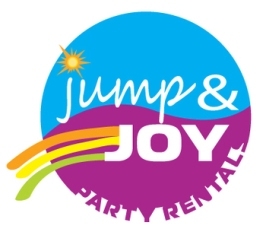 Jump and Joy Party Rentals - Serving all of Houston including Sugar Land, Cypress and Katy. Clean safe moonwalks and water slides. We have used them and they were great! All Around Bounce - Serving West Houston including Sugar Land, Katy, and Cypress Clean, safe, and affordable moonwalks and water slides. We have used them and they were great! Margarita machine rental in Dallas. Frozen drink mix and margarita mix sales since 1984. Party Rentals! Rent a margarita machine in Dallas/Fort Worth TX. ICIT Entertainment provides professional and reliable bartending services at an affordable price. They are a full service bartending company meaning they provide everything from the bar and bartenders to the beer, wine, spirits, frozen drinks. Serving Newbury Park, Thousand Oaks, Camarillo, Simi Valley, Moorpark, Westlake Village, Agoura Hills, Oak Park, Oxnard, Calabasas, Conejo Valley, Ventura County, Canoga Park, Woodland Hills, West Hills, Chatsworth, Granada Hills, Porter Ranch, Northridge. Island Breeze Frozen Drink Machine Rentals & Party Rentals is listed on Party Blast, The premier online directory for hiring wedding and party services.